Decisions, decisions… You’ve been thinking for a long time about adopting a cat. But where will you find a cat, and how will you know the cat is right for you? The last part is easy. When you find the right cat, you’ll just know. You’ll feel that almost magical connection with the cat who’s meant to be your friend for life. But before you begin your search for that special someone, think about the qualities you want in a forever friend. To find a cat adoption checklist to print if you’d like to, click here. If you want your cat to be strictly indoors, plan on adopting a cat who has never been outside. It’s a myth that indoor/outdoor and outdoor cats get used to living strictly indoors. Most don’t and can develop behavior and health issues because they’re so frustrated and unhappy with their new lifestyle. The adoption websites, Adoptapet.com and Petfinder.com, are good places to begin your search. Most rescues and shelters list their cats on both. Many shelters also put their cats on PetHarbor. And if you’re thinking about adopting a cat who’s a purebred, take a look at RescueMe.org. Don’t rule out adopting a cat from a public shelter. There’s nothing “wrong” with shelter cats. Most are there through no fault of their own, and by adopting from a shelter you’ll probably be saving a life. While you’re there, don’t overlook the cats hiding in the backs of their cages. They’re the ones who need homes the most. And they could be friendly cats who are just hiding because they’re terrified of the shelter. Adopting a cat from a rescue group also saves a life. When one of a rescue’s cats leaves, another can come. Most rescues know their cats very, very well and can help you make a good match. But be sure you understand the group’s rules before adopting a cat. 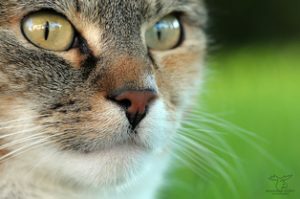 Most prohibit declawing, and many want their cats to live strictly indoors. If you adopt from a rescue or shelter, be prepared to complete an application, sign a contract and pay a nominal adoption fee. The application will help the rescue or shelter decide whether you and the cat will be a good match. Willingness to pay an adoption fee indicates some commitment on your part. If you look at cats on Craig’s List, ask lots of questions before you adopt. What’s the real reason the people are giving up the cat? Is the cat really strictly indoors or does he like to go out? Is he really good with kids or dogs? If you have children, take them with you to meet the cat so you can see how he reacts to them. If you adopt a cat from an individual, ask them to bring the cat to you. That will make the transition easier for the cat. Imagine how terrifying it would be to go off with a total stranger to a strange new house. Also ask the cat’s “ex” to bring some of the food he’s been eating so you can transition him to whatever you’re going to feed. He should also come with his familiar bowls and dishes, his favorite bed and an unwashed towel or pillowcase that smells like home. The familiar scents will be reassuring to him. Be patient. It can take a cat days or even weeks to get used to a new home. Let the cat hide if he wants to. He’ll come out and join the family eventually! About stray cats. Before you take in a stray cat and make her yours for life, leave no stone unturned in trying to find her family. Most cats found outside are not dumped or abandoned. They’re lost and want nothing more than to go home.